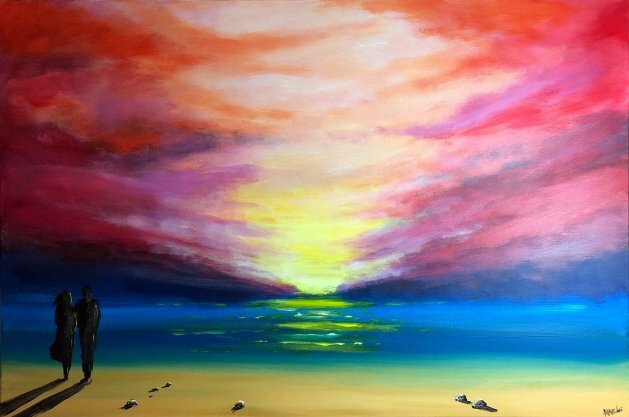 A colourful and vibrant painting that is sure to catch the viewers eye and brighten up any room. The painting continues over the sides so it may be hung without a frame. The painting has been varnished with gloss for protection and has been wired at the back. The painting will be packed into a custom made box and delivered within 2 working days by a tracked courier service. Comes with a certificate of authenticity.